If you are looking WordPress theme in official site of WordPress, you have a problem to select best theme for your website because there will be very huge collection of WordPress theme that is uploaded by developer across the globe and could be very hard to select best theme for your website. 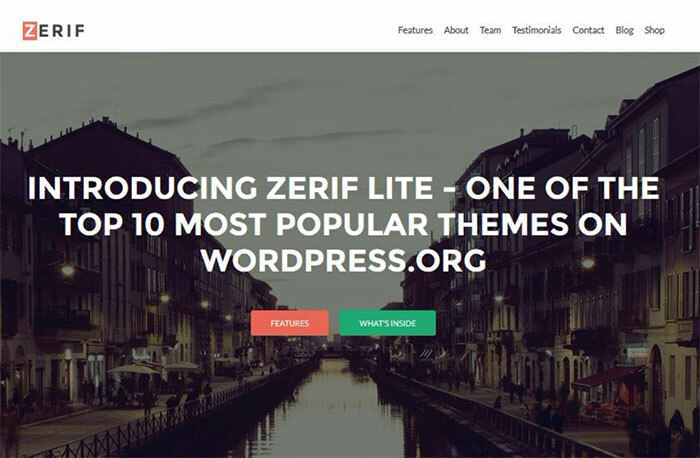 Here in this website, you will get top 10 free responsive WordPress theme that would help you to choose best theme for your new website which is very popular aesthetically beautiful and well-code and fully responsive mobile device. These theme are given below. Hestia is a powerful and beautiful theme of WordPress that provides latest design trends looks for any website. Hestia theme uses latest trends material UI kit to make a clean and beautiful website. Hestia theme has one page design that provides elegant and artist and smooth scrolling look. Hestia theme borrowed online shop from Pinterest’s design and full width featured slider. It has responsive design with material UI kit and widgetized footer. Hestia theme is fully integrated with Woo-Commerce plugin and SEO friendly. Sydney is the best theme for any business purpose website. 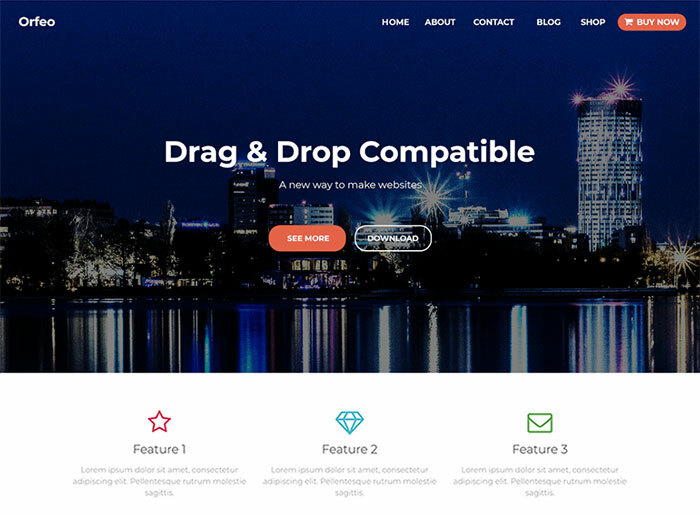 It offers a beautiful animations and full width slider with smooth scrolling. Sydney gives a professional look to any website that make a very elegant for any business website, portfolio, personal website etc. Sydney theme has a good interface and simple design and very easy to use for any user. 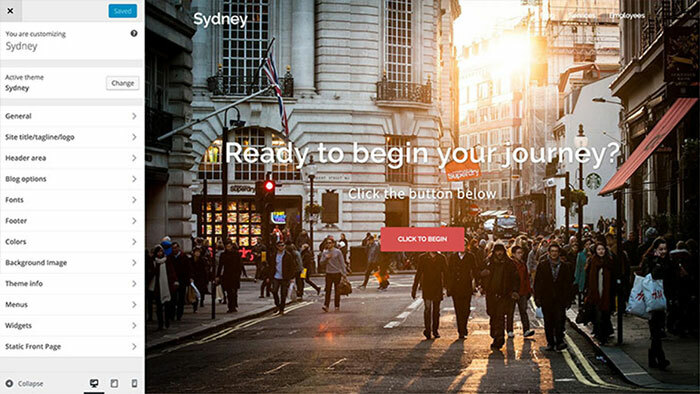 Sydney has a responsive layout and parallax backgrounds, slider or static image header and google fonts. Anariel Lite theme is very style-shish theme for any magazine and fashion blog. It has a beautiful photo gallry templates and elegantslider. This theme is SEO optimized theme. Anariel Lite theme has a Vintage like social media icons that provides interface to easily connect with social media. 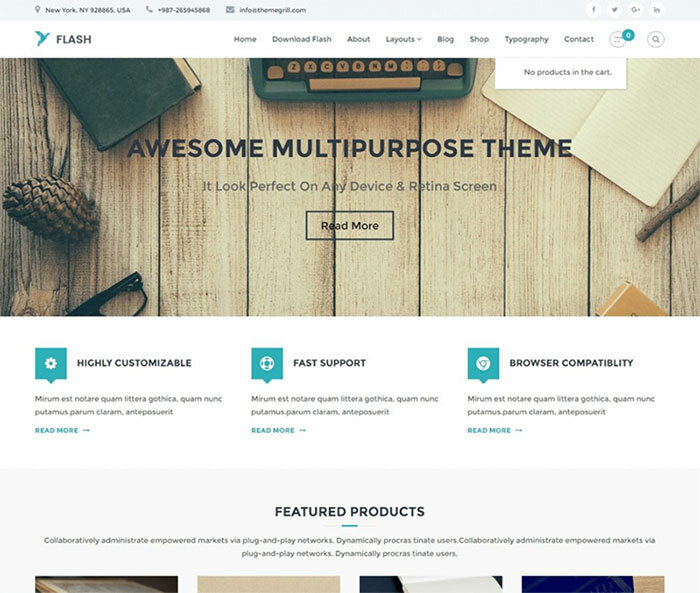 Flash is very popular responsive and interactive WordPress theme that makes your website fantastic and interesting. It’s a very easy interface to customize your website and best flash toolkit plugin that comes 11+ awesome variety of widgets that you can place whatever you like. Using widgets of flash toolkit, there can be customize many sections such as heading section, service section, call to action, team, portfolio, slider, about section etc. This Flash toolkit plugin offers 11+ widgets that you can drag and drop and create beautiful web pages and also customize using Site Origin’s Page Builder plugin. Spacious is the best second WordPress theme in year 2018 that makes your website awesome and gives elegant look. 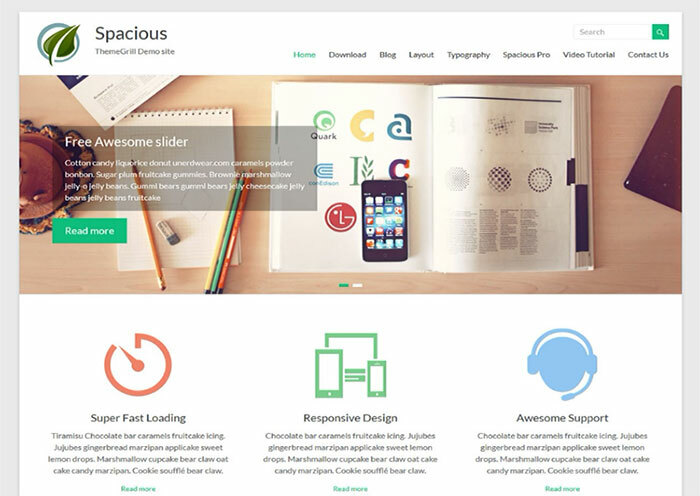 Spacious is very powerful and interactive multipurpose theme. Spacious theme helps to you create a lot of website including business, portfolio, blogging, agency, landing page etc. Spacious is customize with woo commerce plugin by which you can create awesome online shopping website. This theme is available for small businesses, stratup and personal website. It’s responsive WordPress theme with multipurpose design. 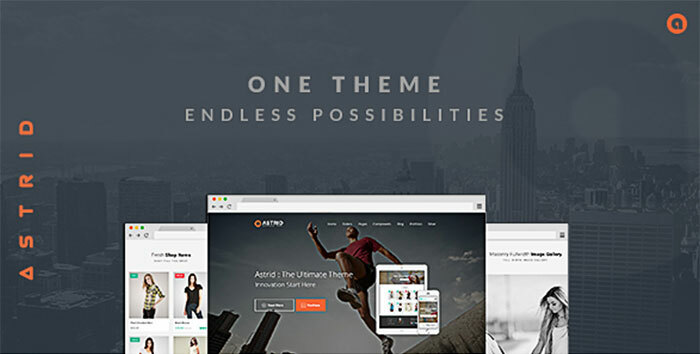 Orfeo is multipurpose theme, using this theme you can create a lot of website including business, portfolio, blogging, agency, landing page etc. Orfeo theme has one page design that provides elegant and modern appearance. This theme is available for ecommerce website, business portfolio. 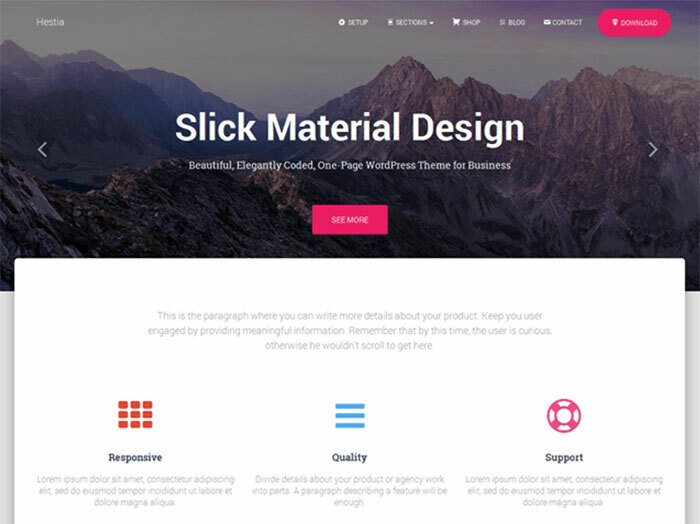 Shop lsle theme uses latest modern trends and gives a modern look to any website. 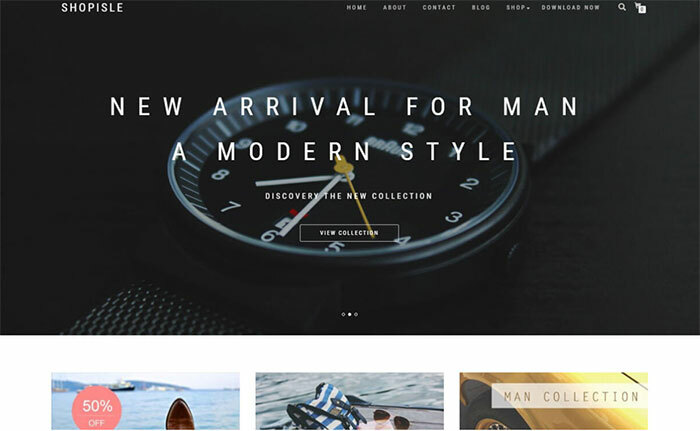 Shoplsle theme has an online shops and give your content a fresh, friendly look. It provides easy contact form and widgetized footer. 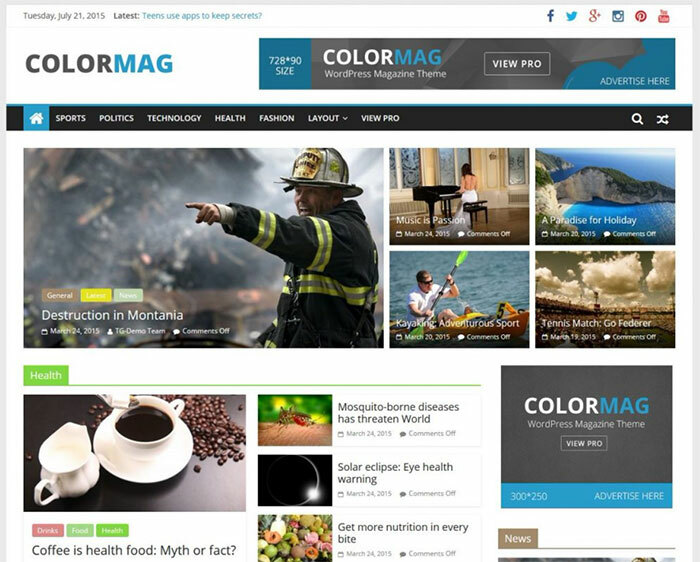 ColorMag is very popular and modern theme for magazines, newspapers, and fashion blogs. This theme gives elegent looks and colorful buttons, featured slider, and an intuitive content structure. ColorMag has a 15+ widget and 6 social icons and one custom design. This theme is fit small business and small magazine agencies. Astrid is a powerful and beautiful theme with modern latest design. It has responsive design, full screen layout, and various portfolio section. easy interface with user-friendly menu that gives an elegant looks to any professional website.